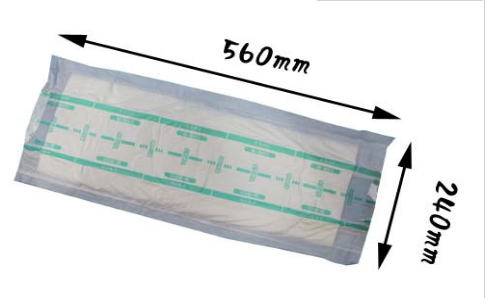 Product categories of Straight Inner Pad, we are specialized manufacturers from China, Straight Inner Pad, Medical Straight Inner Pad suppliers/factory, wholesale high-quality products of Straight Stripe Shape Inner Pad R & D and manufacturing, we have the perfect after-sales service and technical support. Look forward to your cooperation! 1) High speed absorption of the SAP to keep the diaper surface dry. 2) Soft non-woven surface:Using the softest materials to make products, insure that the quality is good. 3) Designed to fit the body, with elastic at the legs. 4) Leak guard to prevent the leakage. -Style, color, size, weight and material can be customized as per your order. -Competitive and favorable price absolutely meets customers` requirements. -Over 10 years' trading experience and good reputation in trading credit, product quality and after-sales service from our clients all over the world. -Package can be designed as per customers` demands and printed with customers' brand name and logo. -OEM or ODM orders are welcome; private label is available. Tianjin Jiao Rou Sanitary Product company is mainly supply adult products, and we have 20 year's experience. And we have exported a lot and have more experience in this line.